Are you as ready for Spring/Summer as we are? 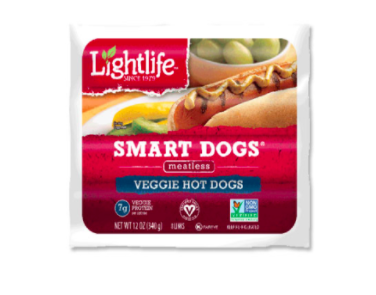 Our friends at Lightlife Foods can’t wait either because their delicious plant-based Hot Dogs (aka. Smart Dogs) are the perfect companion for barbecue season, picnics in the park and vegetarian cook-offs. These veggie hot dogs are America’s #1 best-selling plant-based sausages, chalk full of protein and certified vegan. The best part about Lightlife, though? They’re a company that profits with purpose just the way we like it: 5% of their annual profits are given straight back to charitable organizations across the USA. I sure would enjoy trying this one!